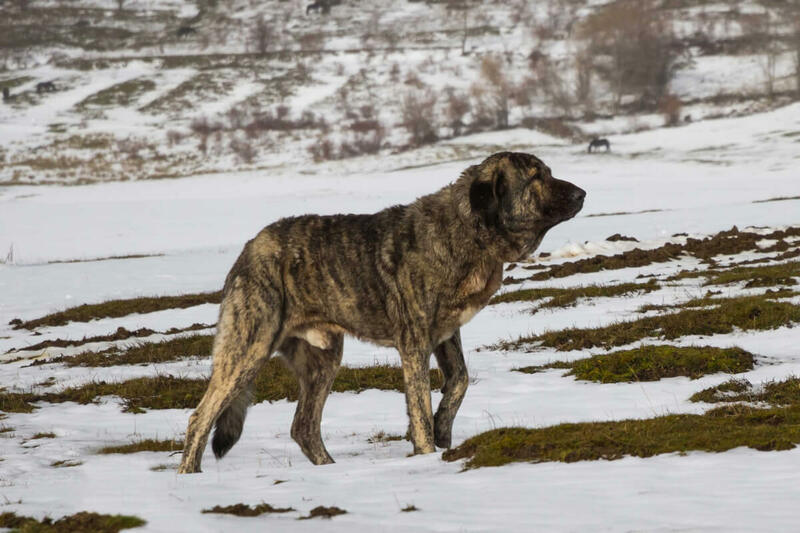 The Spanish Mastiff is the largest of all Livestock Guardian Dogs, and they have been around for a couple thousand years or more. They are easily distinguished by their size and the two massive hairy folds of skin that hang off their neck. While they are not fully recognized by the American Kennel Club (AKC), they have been assigned the Working Dog group in the AKC's Foundation Stock Service since 2008. 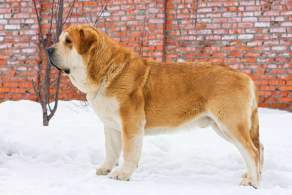 The Spanish Mastiff is a livestock dog. They are generally bred and trained to protect herds, but they have become popular as companion dogs too. These dogs are not recommended for first-time families or those households with young or very small children. 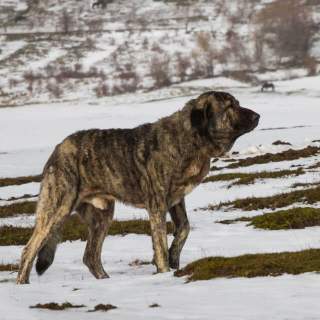 They are big dogs, but it is very rare to hear about a Spanish Mastiff attack. 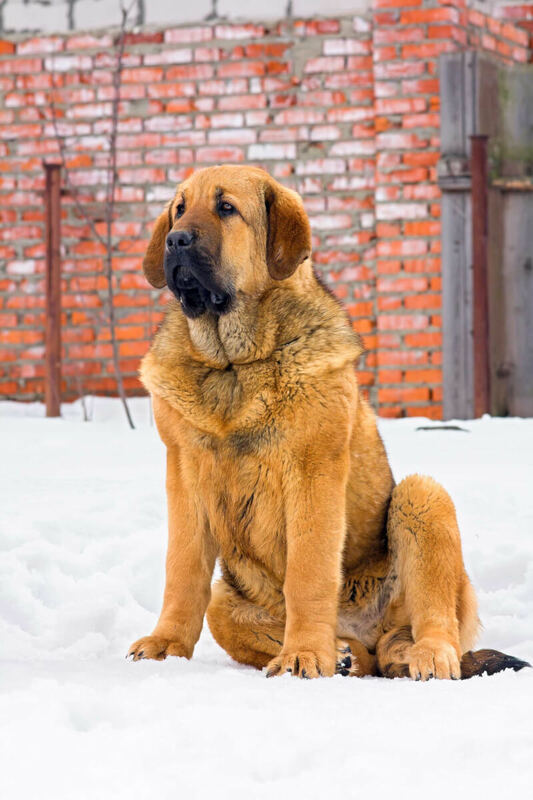 The Spanish Mastiff is a giant dog whose size and history is fearsome but whose modern temperament is surprisingly domesticated. Centuries ago, this breed and other mastiffs were used by Spanish conquistadors to carry out gruesome tasks that included running in packs as shock troops for war (they even wore armor!) and eating the conquered enemies. Over time, they were led to be livestock guardians for cattle and other herds. These days, they are pretty darned good as companion dogs. These dogs are very intelligent. As livestock guardians, they were relied on to deal with problems on their own. As domestic dogs, they need an alpha human who is calm and highly confident. A lack of training will quickly prompt a Spanish Mastiff to become stubborn and do what he wants, when he wants. Because this breed is so big and they know it, these dogs don't bark much. Their loyalty and protectiveness, if unchecked by proper training, can lead them to be problematic. They are extremely loving, highly confident, and ready for action. They may carry themselves regally, but these dogs are not fragile. They are used to being on the job at all times as well as on the move constantly. They need a lot of exercise to remain mentally and physically fit. There is plenty of Spanish Mastiff info available on-line and in books to help keep your dog happy! Colors are typically in pairs or triparti, and sometimes with a bit of white. There shouldn't be too much white. There can spotting on the body or, in rare cases, only the legs. The patterns for these colors can vary greatly, from a mottled mix, to symmetric banding, to one color being highly dominant and blending in with the other and some white. If you're looking for a purely black Spanish Mastiff, however, they are very rare. 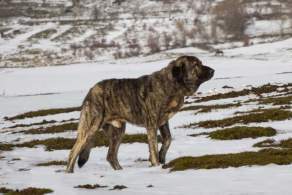 The Spanish Mastiff is not only the biggest of any native Spanish dog breed but the absolute largest of all Livestock Guardian Dogs (often termed LGDs). These gigantic mastiffs stand anywhere from 28 to 35 inches high. The Spanish Mastiff weight, as you may have guessed, is no less impressive. Fully grown males weigh around 110 to 150 pounds but have been known to get up to 265 pounds. Females are a good bit less on the scale, ranging from 88 to 132 pounds. 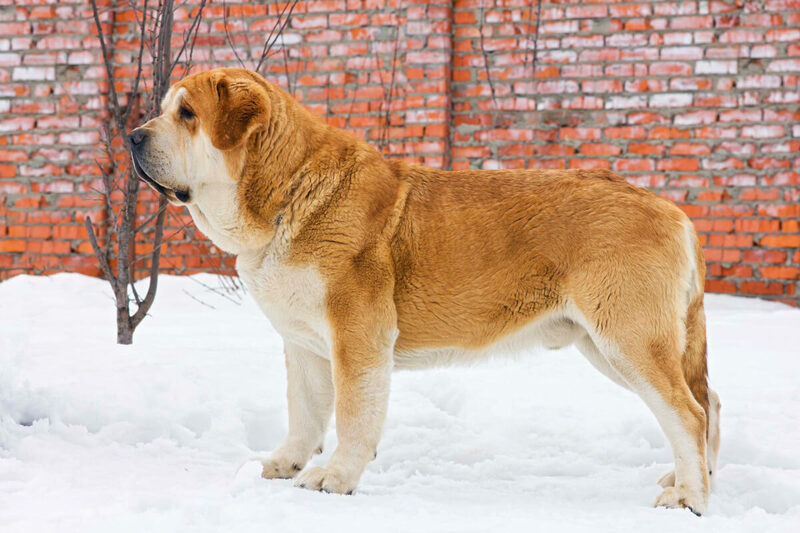 The Spanish Mastiff breed's variations are very few. If you can count it as such, the coat may be any shade, so individuals may vary greatly in color. There are no size variations considered standard. This means there are no miniature Spanish Mastiffs. 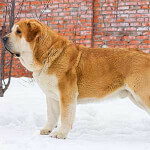 The breed is intended to be very large and there is no maximum size guideline! Below are pictures and images of the Spanish Mastiff. 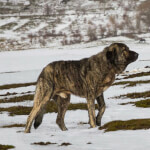 Like all giant breeds of dogs, the Spanish Mastiff carries a lot of highly possible, very serious health problems. Some can be mitigated with a very careful diet and closely monitored activity whereas others basically cannot be avoided due to this dog's enormous frame and her genetic disposition. The Spanish Mastiff's typical lifespan is about 10 years, but with great care, she may live to 12 or even 14 years of age.